Only had 1000rds through it. 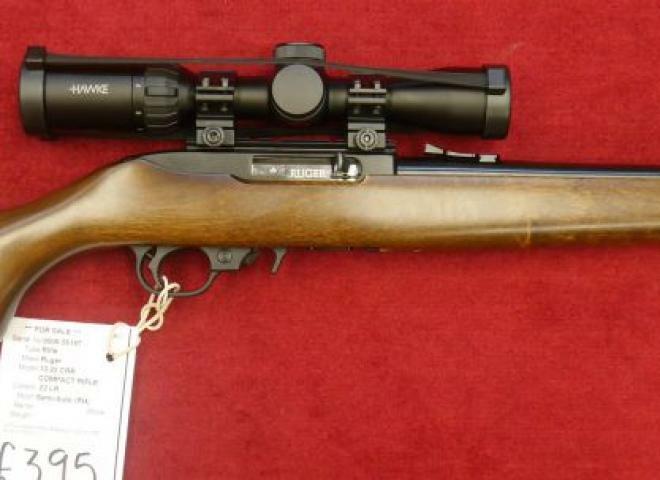 A Ruger M77/22 in 22 Magnum in excellent condition not seen much use comes with a Tasco Titan 3-9x40 scope unthreaded with 9 shot detachable magazine. Gun with Harris Style Bipod 6-9"
A complete outfit, with stainless barrel a FAB defence line adjustable folding stock, Richter optic 3-9X50 scope, SAK sound moderator. 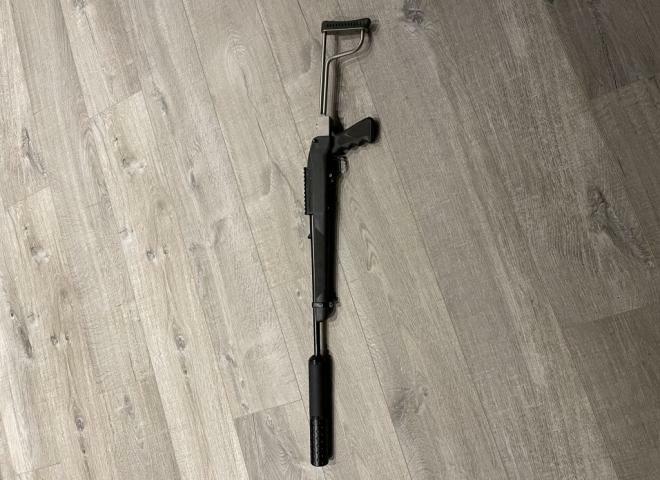 Complete with aftermarket tactical stock - immaculate condition. A great used package buy which is ready to go! Complete with SAK sound Moderator, Nikko Sterling Diamond 1-4x24 scopes, x3 magazines and ammo pouch. 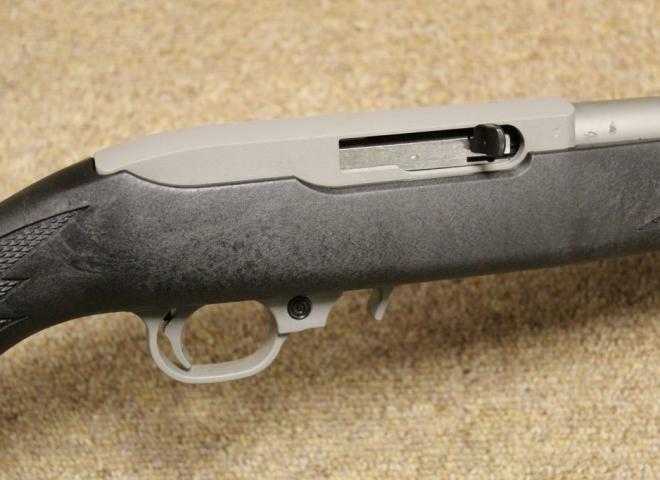 In stock now - the long awaited rifle from Ruger Precision. 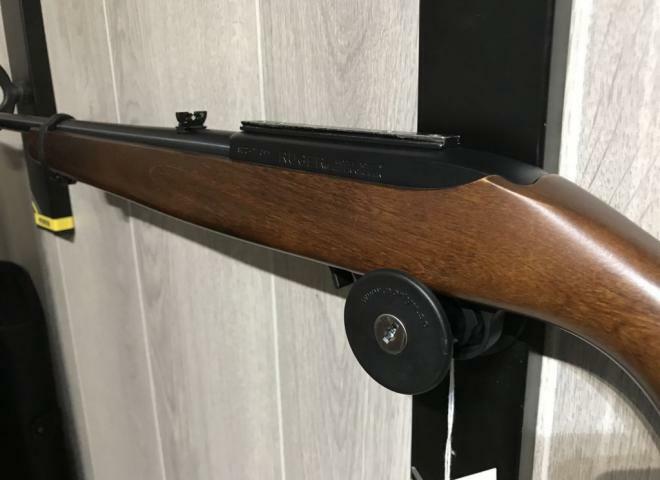 The Gun Room offers you the opportunity to purchase a, second hand Ruger 10/22 with 20" stainless varmint target barrel, screw cut for sound moderator, and fitted with a custom Boyes Evolution Stock, in immaculate condition. The one-piece, three-lug bolt with 70° throw. Features a Boyd's Evolution thumbhole stock, Hornet spitfire trigger mechanism giving 2 3/4Lb pull, Simmonds 3-9X40 scope & mounts. Condition is very good. 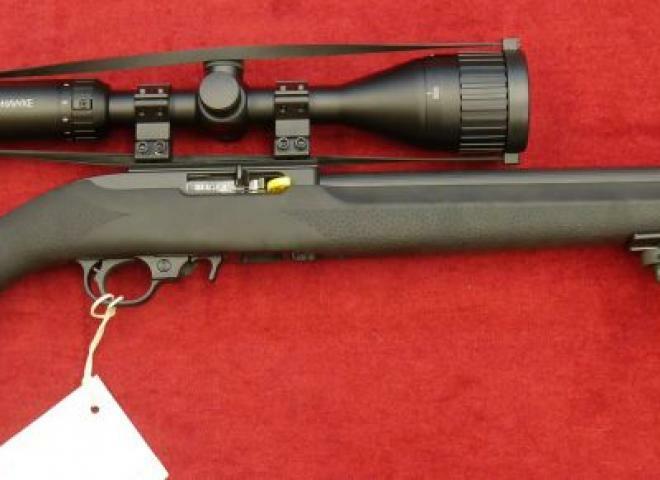 A custom Ruger with a Ceoate stock, Ruger hammer forged heavy match barrel, 3-9x40 Illuminated Hawke scope & mounts. In very good condition. As part of a package also available is a 3-9x40 AO compact Aim scope for only an additional £25. 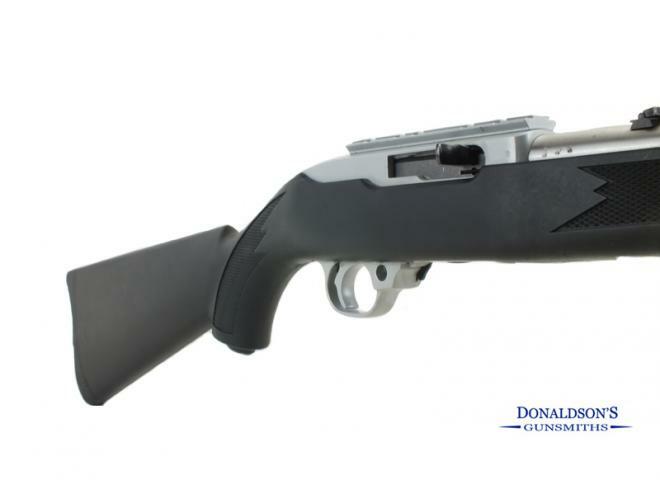 The SR-22 Rifle places a standard 10/22 action inside a top-quality, American-Made, all-aluminium chassis that is custom manufactured to Ruger specs by Nordic Components. 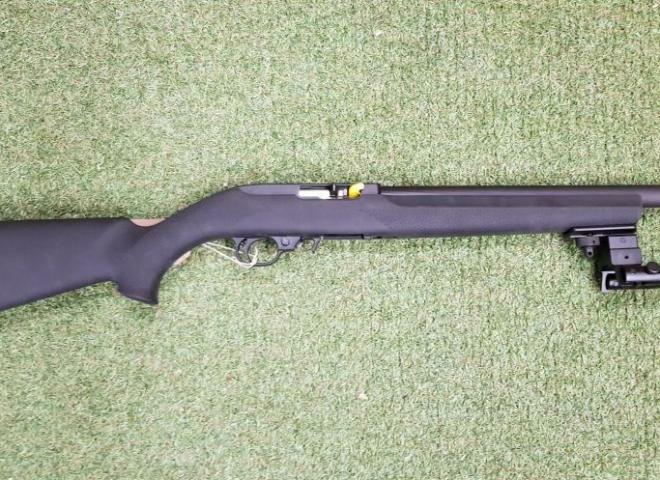 Ruger 10/22 rifles are the most customisable rifle on the market with every part available as a custom part meaning the rifle can be altered to be the best blend of performance, looks and budget for each individual shooter. Screwcut 1/2" UNF for a sound moderator. Tidy all round condition. Includes 1" high Ruger mounts. Please note that this gun is new and unused, ex-display. 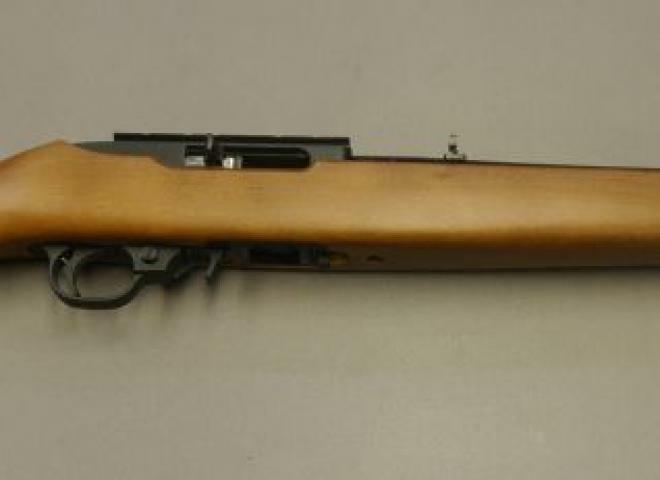 In very good condition this rifle features a stainless barrel and action with a All weather synthetic stock and a stainless SAK sound moderator. 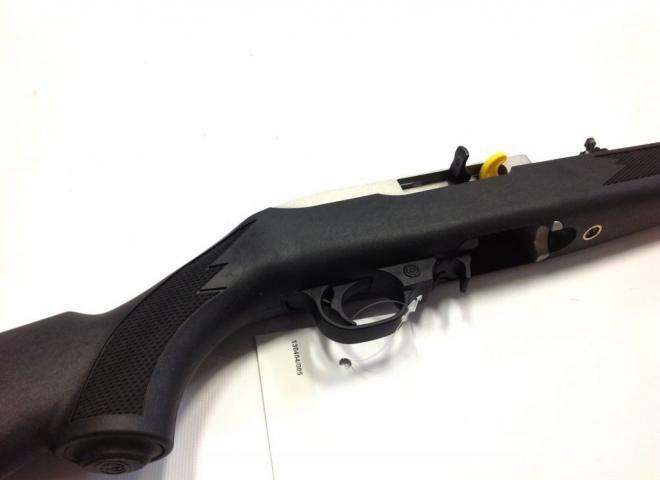 Ruger 10/22 Stainless with rubber Hogue stock, Silencer and Schmidt and Bender scope. MTC Viper 4-16X50 IR SF scope. Power Custom Comp Hammer with Adj scear. Power Custom aluminium trigger blade with Adj over travel. 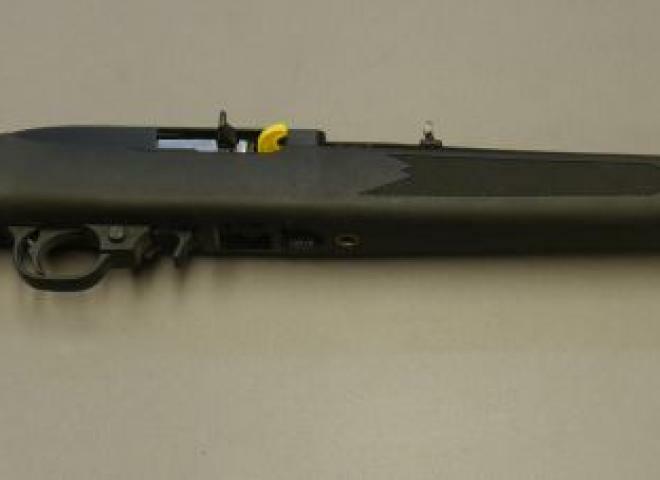 Good conditioned Ruger M77 MK 1 with the sporter barrel. 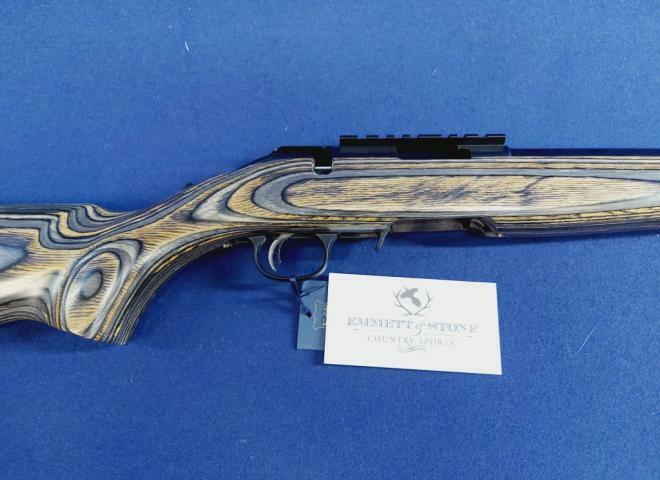 Comes complete with Ruger blued 25mm rings and a Simmons Whitetail Classic W.A. 3.5-10x50 scope. This comes with the unmolested blued barrel and is not screwcut. Excellent Vermin/Target semi auto rifle with Hogue rubberised stock, 10 shot magazine and flip up rearsight. 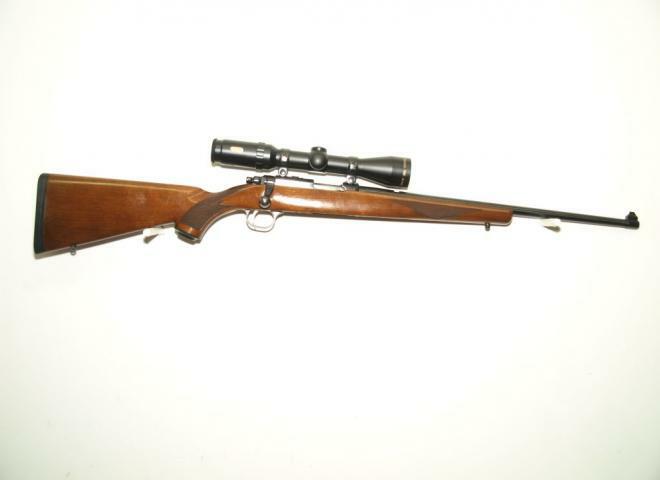 Super value allround vermin/target rifle with American walnut stock, flip up adjustable rearsight and 10 shot magazine. PURPOSE-BUILT TO DISTANCE ITSELF FROM THE TYPICAL LONG-RANGE RIFLE. 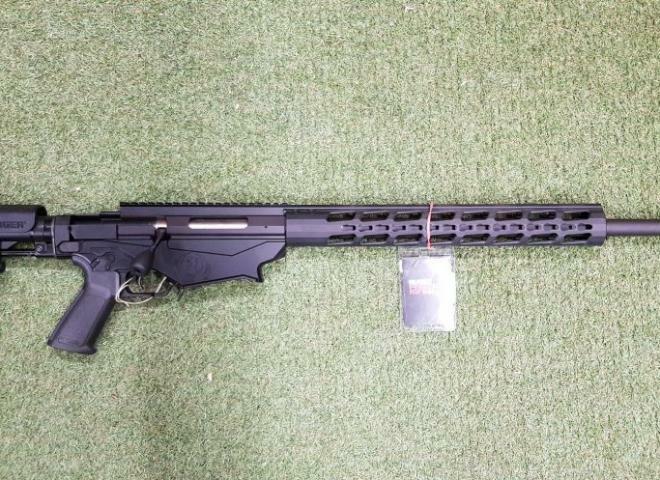 Latest Gen 3 version of Rugers wonderful Precision Rifle folding fully adjustable stock 20moa rail muzzle brake 2x10 round magazines.